Pi’s innocence is robbed or tested and his religious inclinations are challenged by his father regarding Western medicine but leave Pi’s faith undeterred. 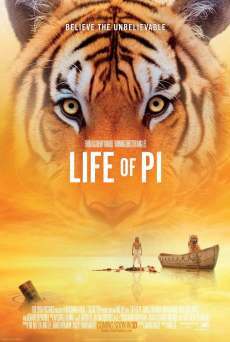 Pi struggles to survive while learning to let go of his hate and anger after a terrible ordeal. His faith is severely tested along the way and he almost loses all hope before finding it in the heart of darkness. TODAY, WHEN I THINK ABOUT GRATITUDE, I think about forgiveness—and what God has already done for me. I realized that being really grateful meant forgiving the man and letting go of my anger and hurt. It meant being grateful for what God had already done for me, which was to give me the grace to forgive and love. I did not have to love this man on my own. I did not have to forgive him by myself. It was God—God—who was giving me this generosity of heart, this charity, this love that would allow me to forgive. Right there, right then, I started giving gratitude to God for what He had given me from the beginning—for showing me this way, for letting me see the truth about Love. And I forgave the man. This is gratitude for me. Not that I am grateful because God will do something, but because He has already done it. This is the nature of what God is. Always infinite Love. Always omnipotent Truth. His work—God being Himself, eternal Love—is already done. And God expressing Himself—as us, Love’s expression—is done, too. In my prayer that day, I saw that we give gratitude because we know we have always been blessed. We thank God because of the way He created us. Because He loves to show us that we already have what we need. That night, I called my husband, who still lives in Nigeria, to tell him of what had happened. I told him I forgave this man, and that I was no longer keeping anger and pain in my heart. We rejoiced together that I had seen what God had always been doing for me. Now I realize that gratitude is at the heart of Christianity. Christianity is about love, pure love. But how can we love if we are not first grateful to God for giving us this love? How can we forgive if we do not first know God’s grace? Why didn’t PI just let go of the tiger ?? ?